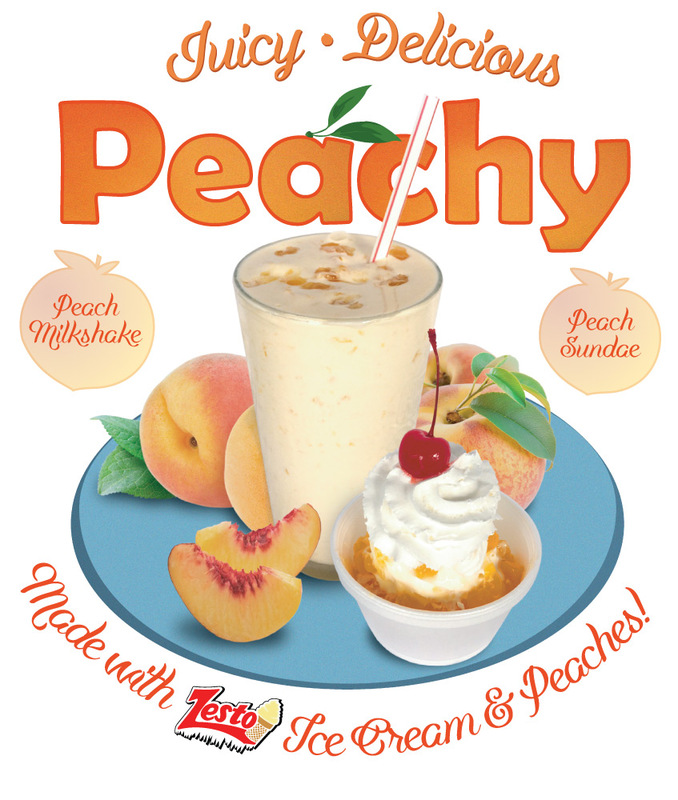 Zesto restaurants wanted to promote some of their juicy and delicious “peachy” flavored treats, so we created this composite image using photos of their peach milkshake and peach sundae combined with stock photos of whole peaches and peach slices. 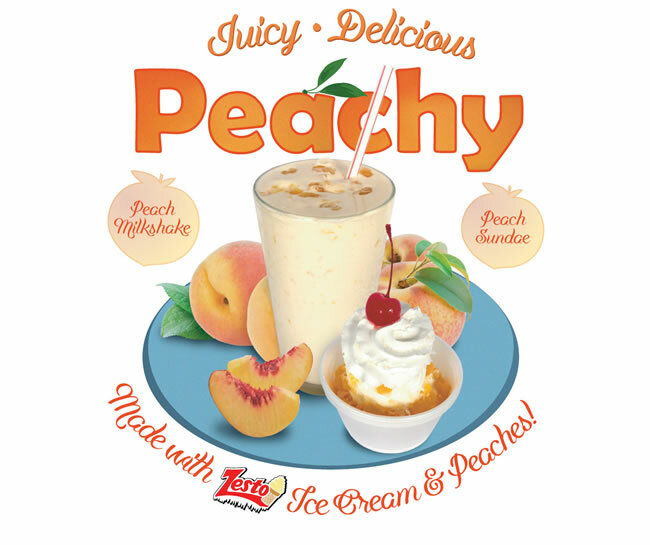 The ad was used for counter signs, window decals and postcards. We love to showcase our client work. Take a look at some samples of recent websites, graphic design and logo projects here. We'd love to talk about your project. Give us an idea about how we can help by submitting our short, easy form.